Ma’anshan Store commenced trial operation on 29 August 2015. 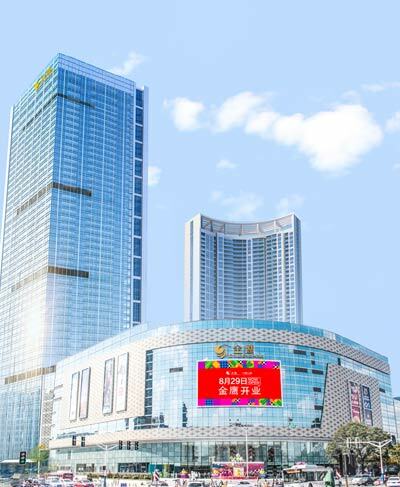 The store is located in the northwest corner of Ma'anshan Unity Square, close to the Yushan Hu in the urban ecological park, occupy the bustling heart of the traditional business district and at the core business area of Ma’anshan City with a GFA of approximately 87,568 square meters. The Ma’anshan lifestyle center offers shopping, holiday, leisure and entertainment as one of the all-round experience and brought together the traditional department stores, entertainment, catering and other lifestyle functions in which lifestyle functions accounted for up to 30.6% of business area. It becomes a one-stop shopping and leisure experience center in Ma’anshan, brings forth to local customers the new shopping experience and attracted 250,000 foot traffic. As at 31 December 2018, the GSP reached over RMB370 million in the full year.